Christmas in the Wizarding World of Harry Potter is the Most Magical Holiday Experience! Disclosure: This visit to Universal Studios Hollywood was hosted, but all thoughts and opinions are my own. For the first day of holidays at Universal Studios Hollywood, not only did we experience the whimsical fun of Grinchmas, but we also enjoyed Christmas in the Wizarding World of Harry Potter! 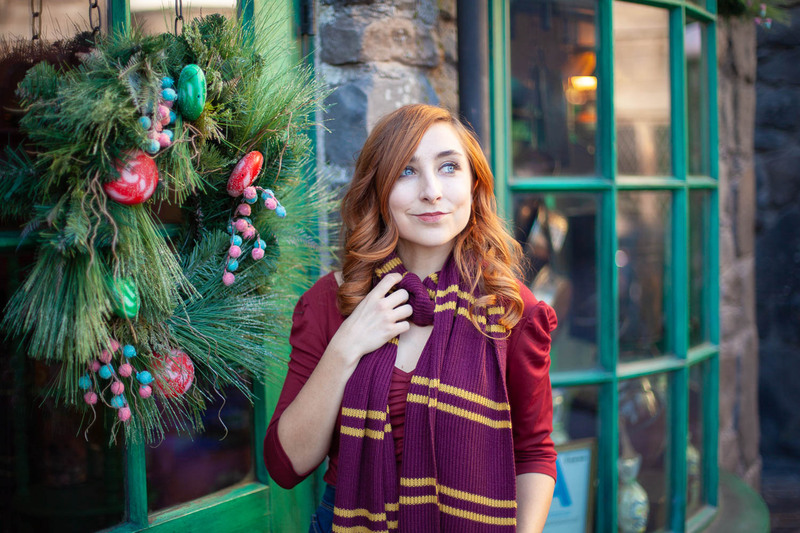 As if the Wizarding World wasn’t magical enough already, experiencing the holidays in Hogsmeade is an extra special occasion. Running now through January 6th, you can experience daytime festivities that include the a capella Frog Choir, who sing holiday themed songs. You can also enjoy hot butterbeer (spoiler: it’s delicious), as well as holiday merchandise such as snow globes and ornaments, and of course decor all throughout Hogsmeade! At nighttime you’re in for a real treat, where you can experience The Magic of Christmas at Hogwarts Castle. During this show, Hogwarts School of Witchcraft and Wizardry illuminate with animations along with music to showcase various scenes from the Harry Potter films. There are some fireworks incorporated into the show, which my daughter absolutely loved! After the show, you can experience snowfall throughout Hogsmeade, which happens around every 20 minutes thereafter. The Magic of Christmas at Hogwarts Castle was breathtaking, I highly recommend grabbing a hot butterbeer, then head to find a spot on the stage that faces Hogwarts about 40 minutes ahead of time to get a great view of the show. It’s especially great to utilize this elevated standing space when you have little kids with you to see the show! The stage where I like to stand to watch the night show! Christmas in the Wizarding World of Harry Potter has now begun, and runs until January 6th. You can find more information about Universal Studios Hollywood here. Amazing 2019 Discount Disneyland Vacation Packages! The Disney Eats Collection is Now on shopDisney!